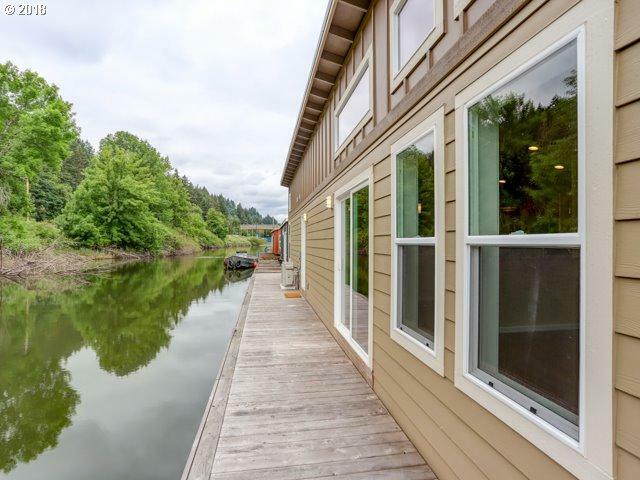 NEW CONSTRUCTION, CONCRETE FLOAT, and low monthly fees, make this the perfect getaway. Fantastic location close in to Portland. Gated parking for 2 cars. Low maintenance house w/ hardie plank siding, metal roof, cedar decking. Interior features beautiful hickory cabinets, durable engineered hardwoods, & ductless mini-splits for heating and cooling. House and deck is 57'. Imagine your boat right out your back door. Click video for more.